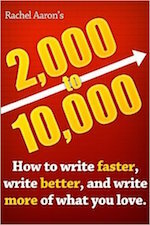 Be inspired to write, make money from your writing, get great discounted products for writers and a whole lot more. Test your website with the Free WP Engine WordPress Speed Test. 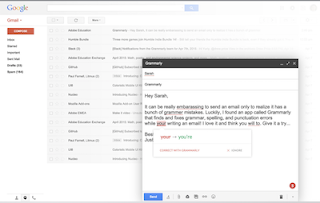 No doubt you've heard of the free grammar checker called Grammarly. It comes with a free browser extension for Chrome, Safari, and Firefox? Grammarly is now being used by Millions of writers worldwide and it's also licensed by more than 600 leading universities and corporations. And professionals use Grammarly to provide help and instant feedback on the accuracy, impact, and credibility of their English writing in a variety of fields, such as law, healthcare, marketing, engineering, and journalism. Not to mention writers like you and me who benefit through Grammarly's ability to instantly fix over 400 types of errors, most of which Microsoft Word can't find. The software can correct over 400 types of grammatical mistakes while also catching contextual spelling errors and poor vocabulary usage. And you can use it to find the perfect word every time with context-optimised synonym suggestions, unlike cheap article "spinners" that have no idea of the context in which you're trying to use your words. See my bad experience of this when someone "spun" my articles at The Malicious Reaction of a Resentful Copyright Infringer. 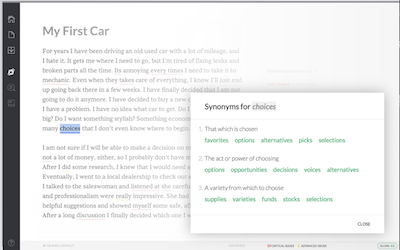 Grammarly’s algorithms flag potential issues in your text and suggest context-specific corrections for grammar, spelling, and vocabulary. And it even explains the reasoning behind each correction, so you can make an informed decision about how and whether to correct an issue. You can download the free browser app by going to the Grammarly website and clicking the link. 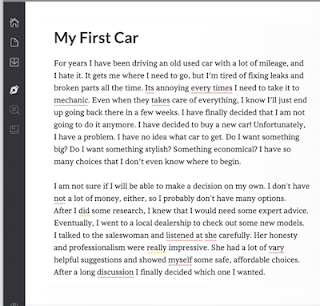 Or scroll down to the bottom of the page and you'll see the link for "native apps" which will take you to the download page for the free Grammarly text editor that you can use for every document you write. 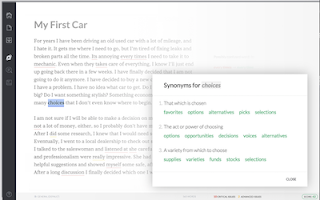 You can drag and drop a document into the Grammarly text window or copy and paste it there. 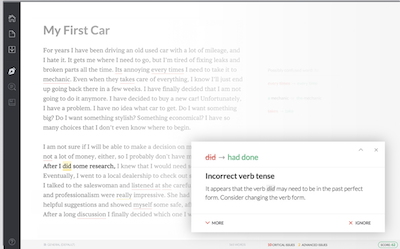 Or alternately, you can type straight into the text window and let Grammarly find problems as you type. 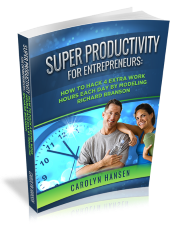 When you've finished you can export your finished document to anywhere on your computer. It really is that simple to use. And did I tell you it's free? 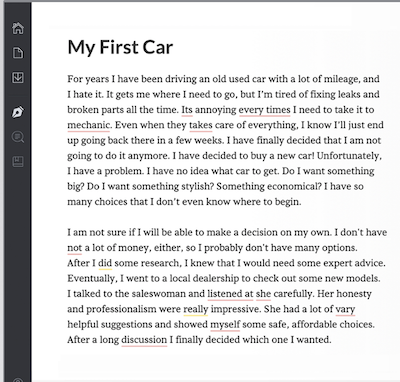 And the browser app works with almost anything you're writing whether you’re using Gmail, Facebook, Twitter, Tumblr, LinkedIn, and almost everywhere else you write on the web. It's spotted so many errors in my writing already that I daren't NOT use it any more (how grammatically incorrect was that sentence?). I definitely don't want to use it in public either because everyone will see how many errors I make in my writing. No sign-up and no email address required. Just click, download and read. How Could This Possibly Make Me Write More? (c) All Content is Copyright to Ruth Barringham. Do Not Copy.. Simple theme. Powered by Blogger.